Arabic Marriage: Looking to hire a harpist for your wedding? It’s your wedding day, you are the Queen of the universe. Being accompanied by delightful harp music on this special day is sure to set the right mood for the beginning of your new life. Lidia has a wealth of Arabic music available for weddings, favourites include Majda Al Roumi, Marwan Khoury, Amr Diab, Fadel Shaker, and of course the legends Fairuz, Um Koultum and Abdul Halim Hafez. The music can be Arabic, or a wonderful mix of Western, classical and oriental music to please and entertain your guests. 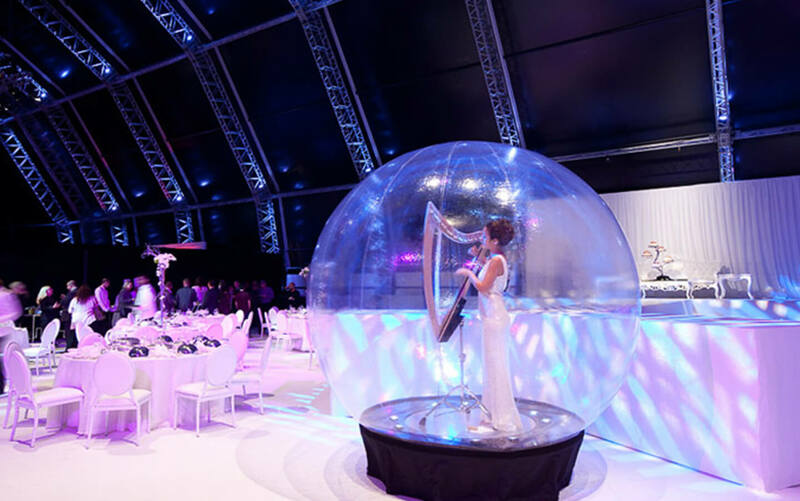 During guests arrival: Greet your wedding guests in style with the beautiful sound of the harp as they take their seats and wait for the bridal entrance. The bridal entrance: The bride will feel confident and relaxed, showing her beauty accompanied by the romantic melodies played on the harp. During dinner: Lidia can set the mood for an enjoyable and relaxing dinner before the party begins. Party time: By going for a full version of Canella duo/trio or the Hamami trio/ band, accompanied by backing track, you can create a party atmosphere and have all your guests dancing to popular Arabic music. Remember that music adds a magical touch to your special day and will make it a wedding to remember! Ahead of your event, why not meet with Lidia and listen to her playing so that you can get a feel for her music and she can help you to make the right choice for your particular event? Don’t hesitaite to share your wedding theme to create a beautiful poetic picture that encapsulates the true essence of your wedding.